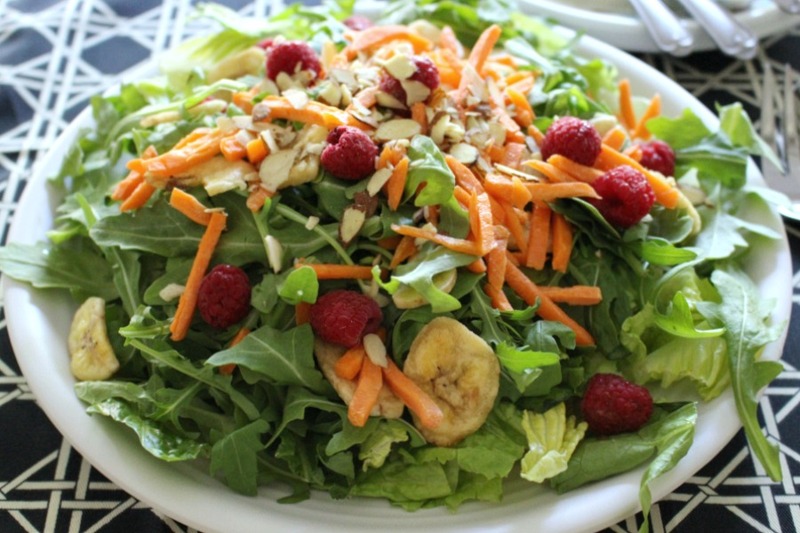 A restaurant style salad with all the fixings easily made at home. Enjoy the bright flavors! You know when you go to restaurants and see all the great varieties of salads? It’s so hard to decide sometimes. Now you can have a super deluxe salad at home in no time at all. I serve this with a protein, such as chicken or steak on the side. Then, the family can take what they want. 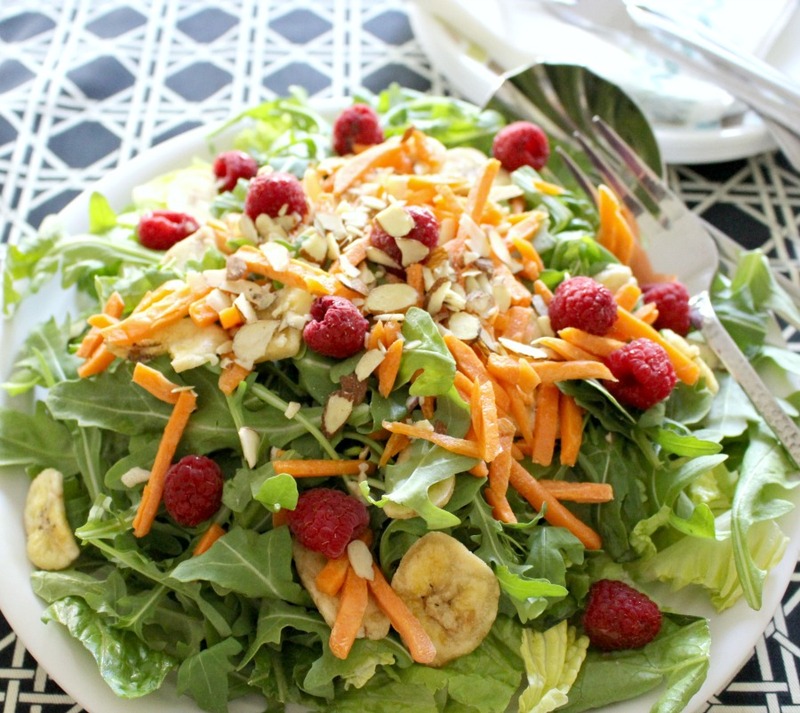 It’s great on it’s own as a colorful delicious vegan salad. Get a large bowl out and starting with the lettuces, start building your salad. When all is in the bowl, drizzle the olive oil and lemon juice along with salt and pepper when ready to serve, toss gently to incorporate the oil and lemon juice. That’s it! Enjoy!